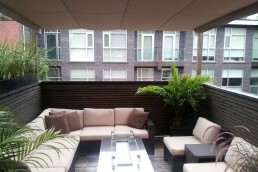 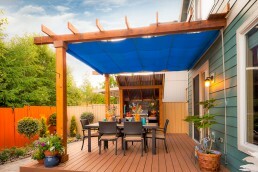 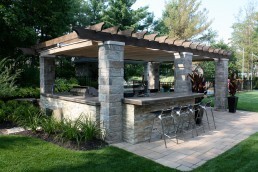 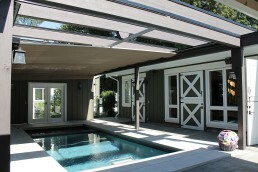 This project is an excellent example of resourceful installation to an existing pergola structure. 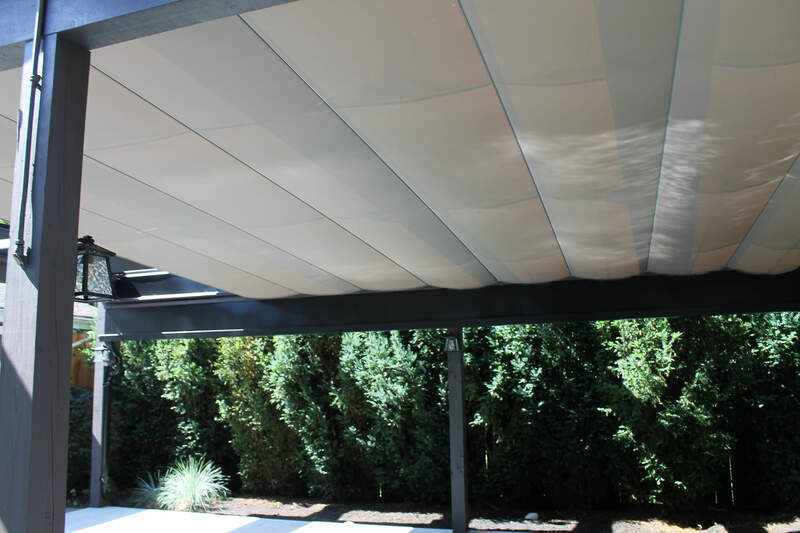 To get the canopy installed at the ideal height relative to the outside frame, the track was mounted to stand-offs (blocks) that were made to fit into the beautiful design. 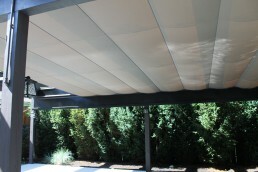 The stand-offs allowed for extra tilt to the wings so they would drain rain to the back even in heavy downpours, which are common in Vancouver. 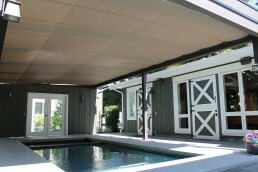 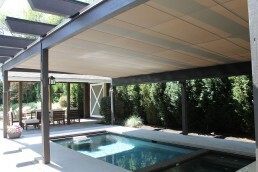 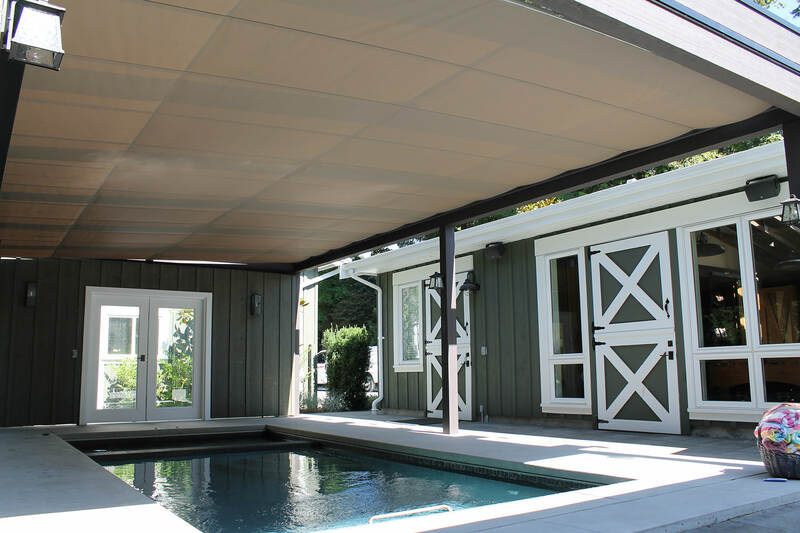 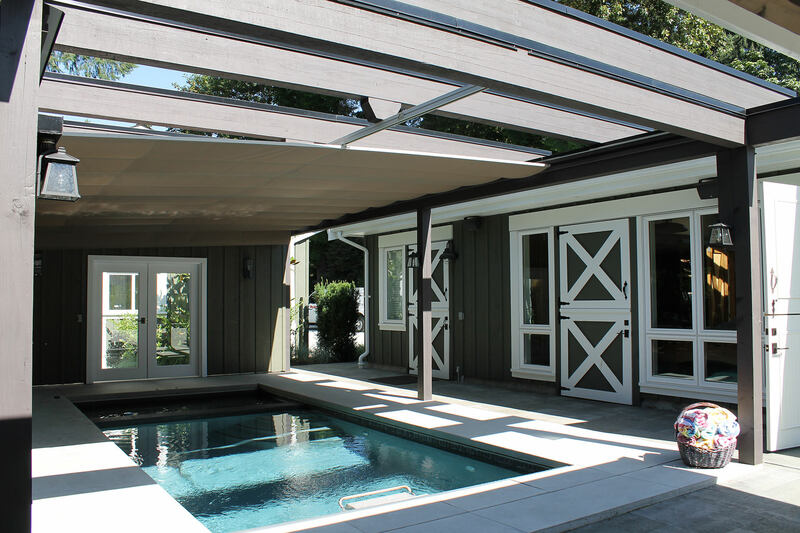 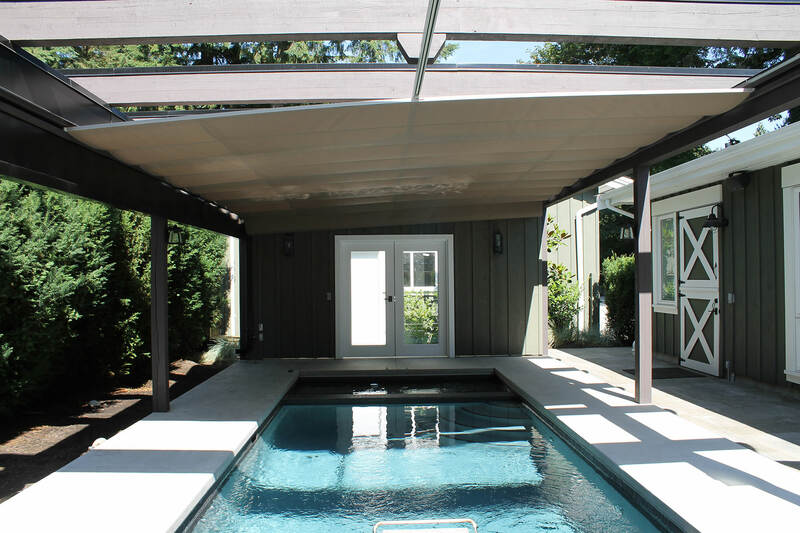 This canopy is thirty feet long and sixteen feet wide and is our first installation over a swimming pool. 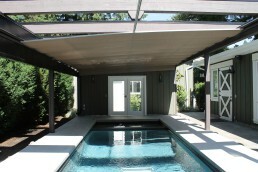 We see lots of potential to cover pools for the added protection from UV that sunscreen can’t provide.